Before I participated in the Sakura Bloom Styleathon I would see women wearing their babies and think how neat it looked, but I'd also think about how I was so certain that that style of mothering wasn't for me. Sure, I enjoyed putting Henry in one of the various carriers we owned, but he never seemed to truly enjoy it, and I found them to be cumbersome and difficult to use on my own. 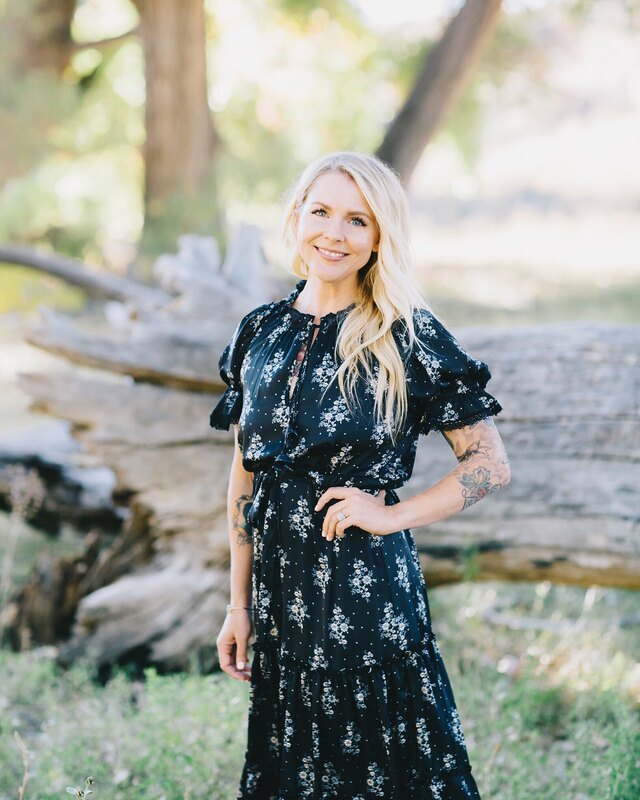 When I agreed to take part in the Styleathon, I was hesitant and nervous. I couldn't imagine my oh-so active Henry wanting to be to toted around in a a piece of fabric. When my first sling arrived I was still intimidated, so I left it in the box, next to my nightstand. One day though, my sense of adventure got the best of me, and I decided to try it out. 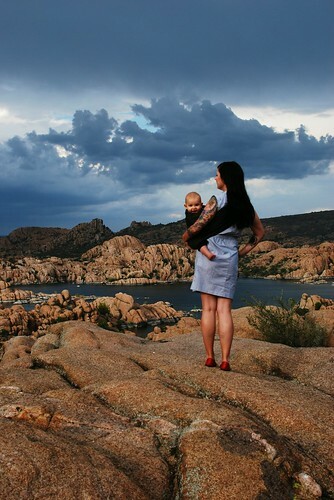 Now, there is a distinct divide between "before babywearing," and "after." Henry and I spend a lot of time out and about, and to be able to have him with me, near me, on me, has provided so much more of a connection than I could have ever imagined. 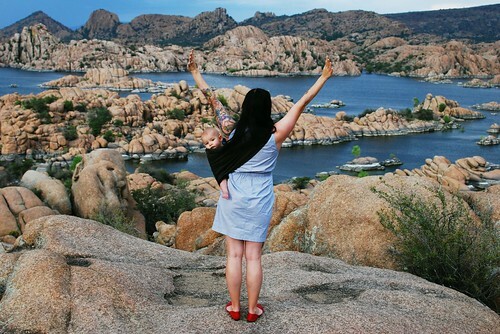 Simply put; babywearing makes our lives infinitely better. I find myself wearing Henry around the house or buying groceries, running errands and walking around the neighborhood; while cleaning, organizing and planning; through mornings and afternoons. What started as a convenience has turned into a lifestyle, and now, I can't imagine my day without wearing Henry. It's beyond just making life easier- it makes life more enjoyable. I feel closer to my son and somehow even more connected than I did before. I think back through this adventure of motherhood, and I think about how quickly it's been flashing before our eyes...it's too fast, and I want to hold onto every moment of it, every precious second with our son. Wearing Henry allows me to do that a little more, and in those moments when it's just mama and baby, time slows down just a bit, and our two hearts are one, just for awhile. Sleeveless Shirt Dress: c/o Lilla P.
That fifth photo- haha adorable! 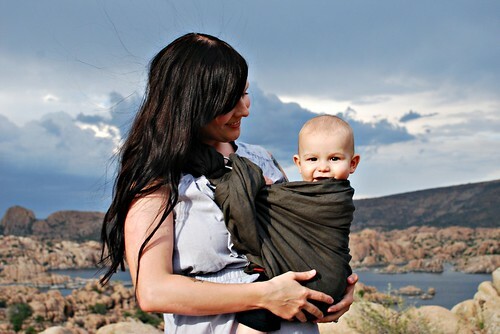 I just recently got the Ergo Baby carrier and love how comfortable it is for both myself and my daughter but I will admit I have eyed off these wraps on other women for some time but have been hesitant to purchase. Your post has inspired me to look into them more! The fourth picture ... my favorite. loving this series so much! henry's emotions are just priceless and you look lovely of course! SO beautiful!! The photos, you and your handsome little man! Amazing pics! You seem even more beautiful. Baby H is the most adorable baby ever! Oh, I've always been a sling enthusiast... Hahaha! the location of these photos is so beautiful - we don't have places like that in NY :/ you and Henry are so cute though! You look absolutely stunning, momma! 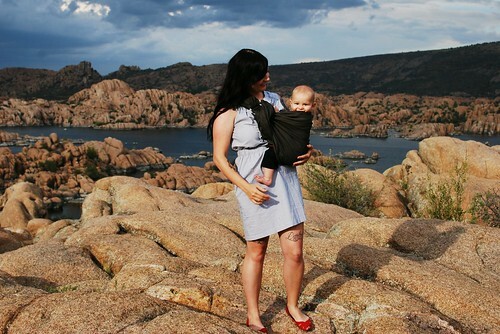 I love that I can still wear Devon, since we got into the babywearing game when she was already a year and a half. It's so true--I want to hold onto every lat second of babyhood and the sling makes that possible. These pictures are stunning! And Henry definitely makes the best faces ever. I wanted to let you know, you need to pull the shoulder support much further over , mostly onto your arm to provide proper support for Henry and to avoid hurting yourself. The sakurabloombabysling's Channel on YouTube has proper holding techniques! Seriously though, gorgeous gorgeous photos. He is too adorable! You both look great. Amazing photos. I love them! @Ashlet thanks for your concern! I definitely know how to use the sling- Sakura Bloom actually sent someone to my house to show me a couple months ago. 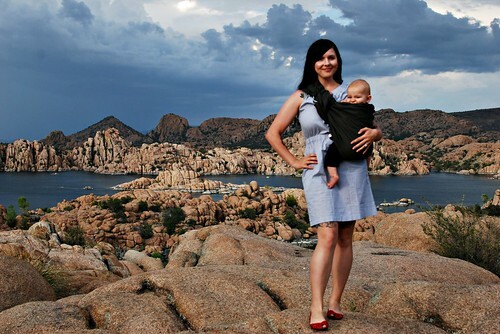 In this instance, this was the most comfortable way for me to wear my child. After the photos I pulled it down as we were walking around- I just needed my arm to be able to fully move, as I was in a bit of a precarious spot on the rocks! where are you? can i come!! what an effortless, happy mama and baby. i am blown away by all of these beautiful, unique mamas - so happy to be introduced to you and henry! 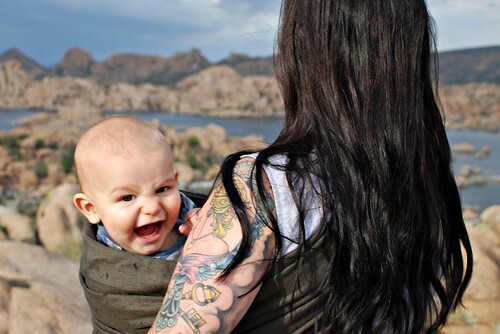 when wyatt as littler i was all about baby wearing! but now we don't really do it anymore... but i'm starting to think that maybe i could? i'd just need to find a super supportive wrap or something. how durable is that thing you got on right now? Hmmmmm. I'm starting to think one of these might work great for me. p.s. those photos are fantastic! Wherever you are in these pictures, I want to go there! What a gorgeous landscape! You two look simply stunning and absolutely radiant. These pictures turn out gorgeous! The clouds and landscape made for an amazing background. Where are these pictures taken?! What an amazingly beautiful landscape. That last pic of you two is gorgeous! Oh goodness Danielle. I'm melted. These pictures are seriously beautiful. Your boy is beautiful, YOU are beautiful. GORGEOUS photos D! Henry is such a hoot and you look amazing! Beautiful Danielle. I love his devious little face in that one picture. I don't have children but I definitely plan on wearing! These photos are gorgeous! If I ever venture into motherhood, I'm totally rocking one of these. I've been fascinated by them for a long time! these are so stunning. you, henry, the location, the lighting... really great photos. i need a baby and a wrap! i love this post, not just visually, but this really makes me look forward to motherhood. amazing what a piece of fabric can do to our lives! 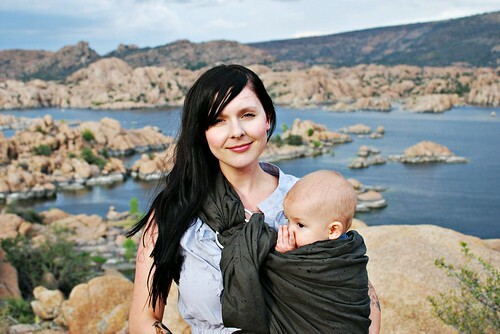 holy crap the scenery the mama the baby all of it, GORGEOUS. makes me want to go reproduce.